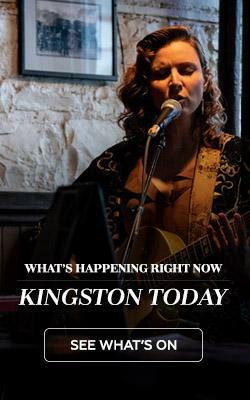 These historic Kingston inns are more than just a place to hang your hat while in town. 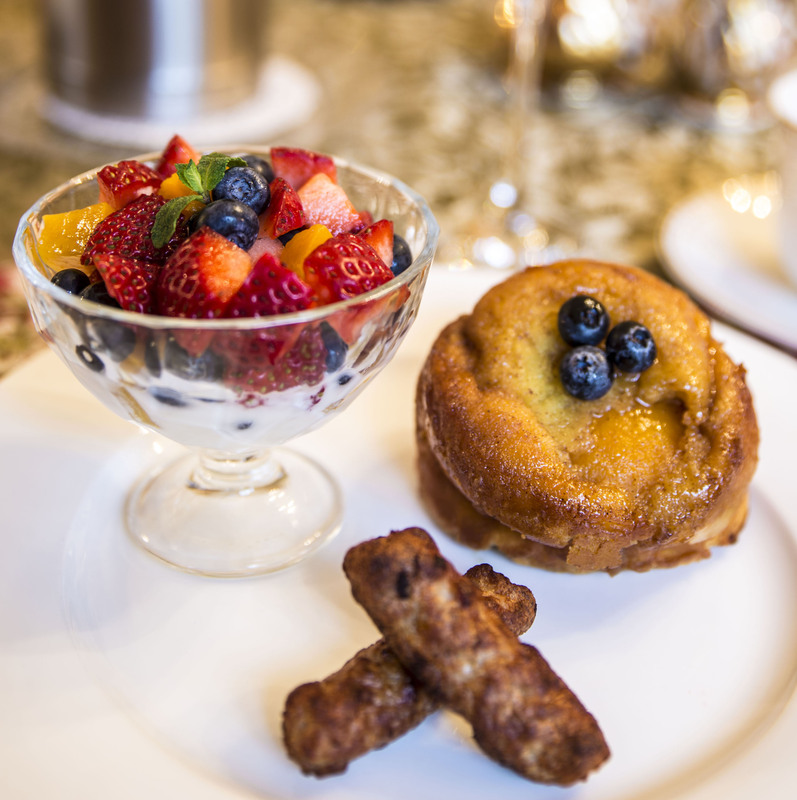 Enjoy history, elegance, romance—and of course, heavenly breakfasts in a league of their own. 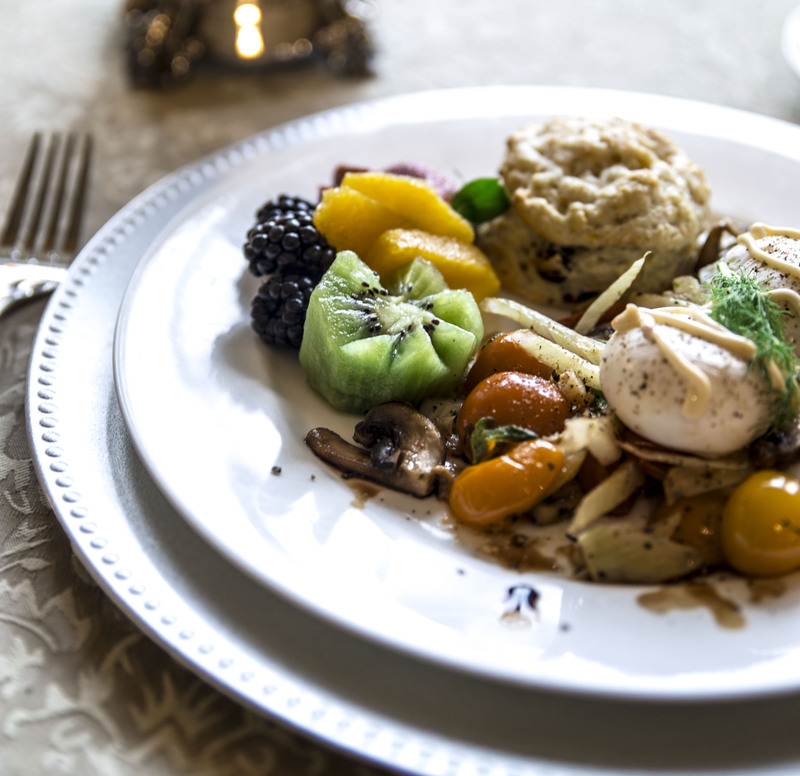 When you stay at any of the Historic Inns of Kingston, you’ll quickly learn that breakfast isn’t just the first meal of the day: it’s a passion. 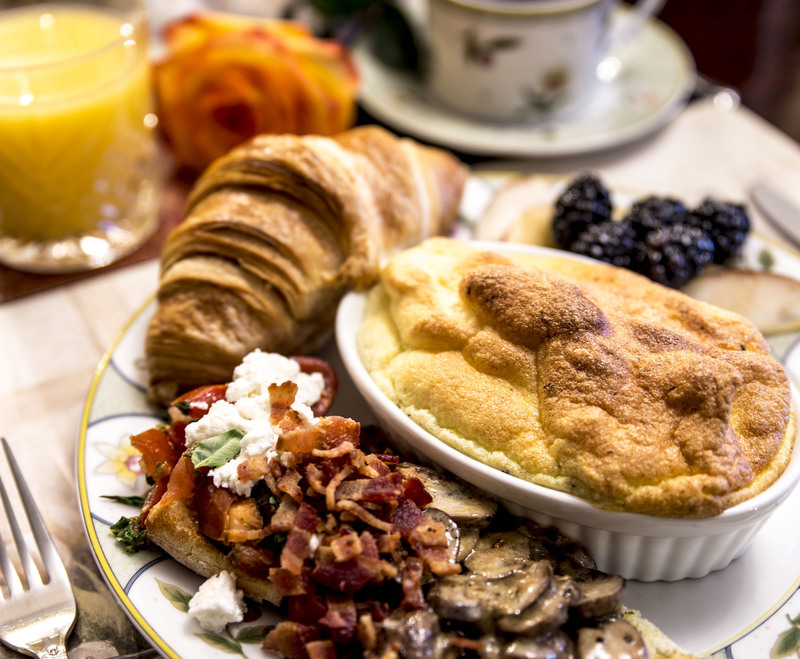 This select group of historic bed and breakfasts—with locations conveniently peppered throughout the city’s best areas—strives to provide their guests with morning meals they simply can’t enjoy anywhere else. 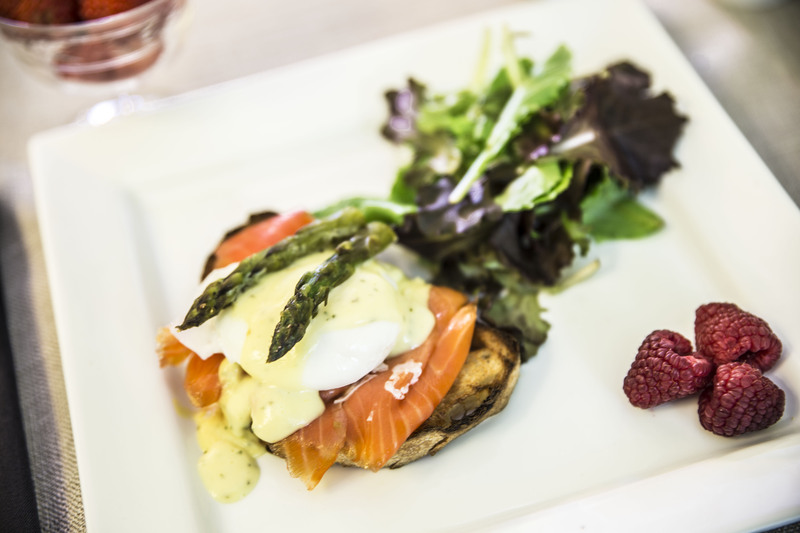 Eggs Frontenac (poached eggs on an English muffin with smoked salmon, asparagus and hollandaise sauce). Take for example, the charming Frontenac Club Inn (located in the heart of downtown), where a complimentary three-course, full-service breakfast comes standard with overnight stays and features crowd-pleasers like their Eggs Frontenac (a delicious spin on Eggs Benedict that includes smoked salmon and steamed asparagus). Your stay at this elegant limestone inn not only includes breakfast but also a window to the rich history and vibrancy of Canada’s first capital. House-made Peach Pancake with seasonal fruit salad and sausages. Over at The Secret Garden Inn (centrally located in historic Sydenham Ward), guests can enjoy a gourmet breakfast served in their stunning oak-panelled dining room. Their evolving menu promises you’ll likely never have the same breakfast twice, but typically features crowd-pleasers like seasonal fruit dishes, inspired entrées and homemade baking befitting the elegant surroundings of an 1888 Queen Anne style Victorian home. Mushroom, fennel, tomato and balsamic warm salad with poached eggs drizzled with jalapeño aioli. Not to be missed is the unforgettable breakfast experience at The Rosemount Inn + Spa (conveniently located in Kingston’s most historic area), where overnight guests are treated to a gourmet delight each morning. The creative forces in the kitchen maintain that breakfast should be an adventure, and please palettes with culinary creations like poached eggs drizzled with jalapeno aioli, fresh-baked cranberry and orange sourdough scones, or the house specialty, Welsh Toast. Tomato mushroom soufléd frittata with homemade goat cheese, bacon, and basil pesto. Lastly (but certainly not least), consider indulging at Green Woods Inn (located along the world-renowned Rideau Heritage Route), where owners Nigel and Tessa have spent years perfecting their approach to breakfast. Typically alternating between savoury and sweet options, guests of this historic inn can enjoy gourmet breakfasts ranging from house-made soufléed frittatas to brûléed bananas and kiwi—and everything in between (and accompanied by freshly baked croissants). If you’re looking for some of the best breakfasts in town—you found them. 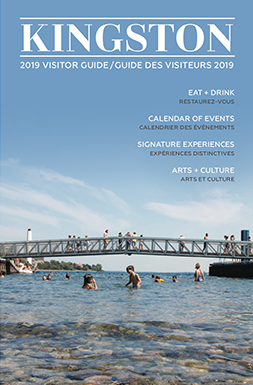 Whether you want a romantic getaway, a spa experience or a special venue for a business meeting, these bed and breakfasts are perfect for your home base while exploring Kingston.